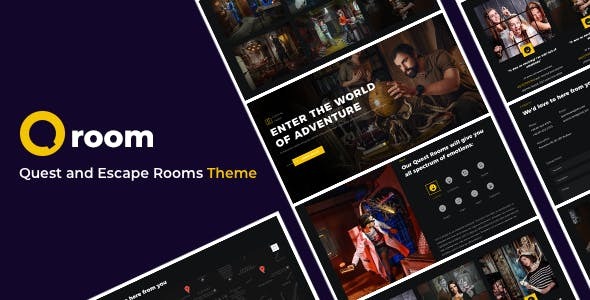 Qroom is a WordPress theme for escape room real-life, quest and puzzle game companies but also can be used for any events-based sites. All the latest features are using here which help you to make unique website from others. It’s a powerful, super flexible responsive, professional, and multipurpose tool. It comes with numerous customisable and reusable components that are designed to fit as many purposes as possible. They are also easy to customize and to combine with other components. The booking part was made on Booked – Appointment Booking for WordPress plugin and it’s already included into the theme package. We made the theme compatible with such plugins as WPBakery (Visual Composer), Contact form 7, Google Maps, Booked, WooCommerce and more! Google Map Visual Composer Addon is most easy and powerful free google maps addon for Visual Composer. With this addon, you can create different type of maps having option to change Language, Map Controls Zoom Controls and lot of more functionals, also you can setup the Style. This is a google maps visual composer add on to generate fully customized responsive google maps in your local language. 114 different styles(skin) available and counting. Qroom is 100% WooCommerce compatible and includes full design integration that looks amazing. With Qroom theme you can easily create a highly professional and fully functional online shop. 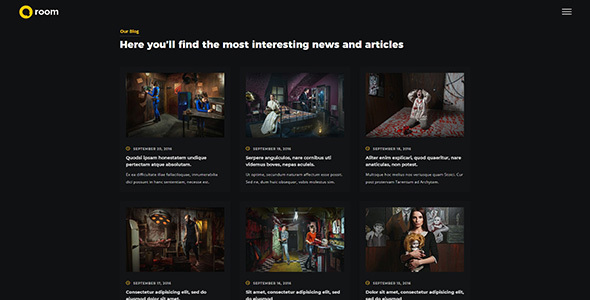 Qroom theme is fully responsive. No matter what device your visitors are using to access your site, the layout will fluidly respond to the screen size to ensure they can still read, browse, shop, download, and interact with your website in every other way. Booking System: We use one of the most powerfull booking system for your needs. Search Engine Optimised The HTML of this theme is hand coded and its code is validated and written according to market’s best practices so your sites can get good ranking on search engines. Responsive DesignThis is fully responsive and device friendly theme. It is fully compatible with bootstrap elements and classes which makes it easy to understand and customize. Quality CodeCode quality of this theme is awesome. It has good use of comments around sections and explanations all around the template where needed. That makes this template easily customizable. Theme OptionsIt has self explanatory and easily understandable theme options. It offers theme modules management at so many levels. FAST AND LIGHTWEIGHT You do not like slow websites. Neither do your visitors. If you are looking for very fast load times and A grade performance, Qroom is the right choice. ONE CLICK INSTALLATION To make it easy to get up and running with one of the many complete templates available, Qroom comes complete with a simple one-click installation procedure. COMPREHENSIVE DOCUMENTATIONIncluded with your purchase is full documentation to make sure you get up and running with a minimum of fuss. Everything is online so you can work at your own pace, print out any sticky bits you might encounter and of course if you get really stuck, we are here to help. 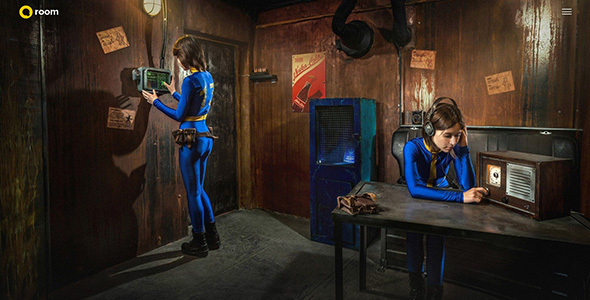 All images in Qroom – Quest and Escape Room WordPress can be used only on demo version. You will need to upload your own images for your site.